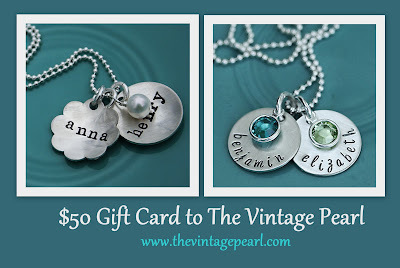 Love, Actually: The Vintage Pearl Jewelry Giveaway! The Vintage Pearl Jewelry Giveaway! I'm in love. And I'm not talking about by husband. I'm talking about The Vintage Pearl! If there ever was such a thing as romantic jewelry, this would surely be it! See what I mean? l-o-v-e.
2. Go check out The Vintage Pearl and tell me your favorite piece! **This giveaway ends on March 10 at 11:59 PM EST. ...and if I won I would probably get the Circle of Love! I love ALL of it...but my favorites are the Fused Heart piece and the Giant Layers. I have all three bonus entries also! :) I gave you a 10 of course! if I won I'd get my mom the layered mother of pearl! It's SO cute!!! Plus she'd be able to get all of her kids on it and my grama who passed this past may. It's be perfect. I love the circle of love bracelet - so beautiful! Can't pick ONE favorite...I have my eyes on 'You are my sunshine' and 'a simple I love you will do' though. So much LOVE! I am a follower.. I love the circle of love, a flower and a circle , and many more!! So cute! I am a follower and I love the cup of love necklace! the circle of love is always my favorite. Oh I don't know! I love them all! Especially the layered mother of pearl, and the bitty blossoms, and a flower and a circle. I love it!! I am a follower, please count me in! Thanks! I rated you a 10! I am a follower and love the dainty drops necklace!! I am a follower, please count me in! I like the Mother of Pearl necklace and the Dainty Drops necklace...but I LOVE IT ALL!! Thank you for the opportunity, LOVE your blog! I LOVE Love Actually! Really. I am in love with the circle of love bracelet! I love the Mother of Pearl...that would be my pick! Thanks! I'm a follower and I LOOOOVE your blog!! 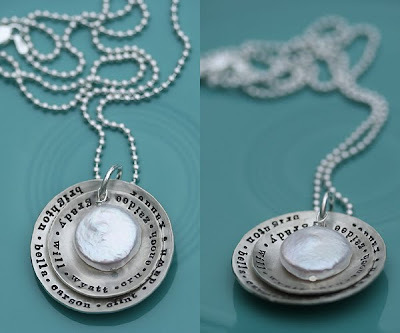 The 'a simple i love you will do' necklace is adorable, and I'm thinking the 'layered circle of love' necklace would be a great gift for my mom- my name and my bro's names on the small one, grandkids' names on the big one. I already follow you on Twitter! I love your blog! I love the large layers necklace!! I am a follower...and I love the flower and circle vintage pearl necklace! I would have a VERY hard time choosing - but I really like the 'I love you to the moon and back' - but I would have to add a circl because I have 5 babies:)! I voted for your blog!! You know you can count me in!! I'm a follower! Have I told you that I don't like picking my favorite pieces? I'm become a very indecisive person so suddenly! BUT, I did my best...I love the Dainty Layers necklace - exactly the way it is on the website - Cross & Heart! I'm going to follow you on Twitter right now. I'm thisthatnmyblog. Tough to choose - there were a few I really likeds, but did get it narrowed down to 2 - the dainty eclectic and the square names with heart. Very sweet - the earring are really cute too! 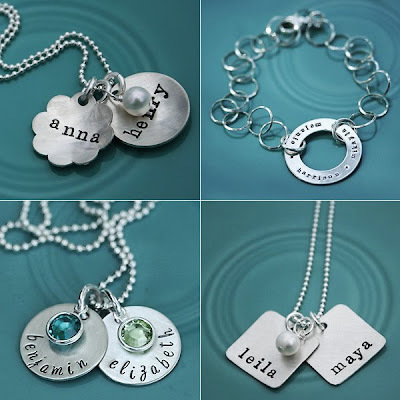 I would choose the dainty layers with my hubby and baby's name on it! Soooo cute! I've always wanted one of these but I can't afford them! I'm a follower on Blogger. THANKS! I love the "Names Around My Heart". So simple and precious. I voted for Love, Actually!! a simple sweet-heart.. so cute! I love your blog and have used many of your ideas!! Thank you!! I love the Vintage Pearl and love the Circle of Love necklace!! I would choose the square with names! That one is so cute! Oh! I love your blog and I love this jewelry! I would love to win! I am a follower and I love all the jewelry. I would probably choose the dainty drops or the bitty blossoms. I LOVE the Love Actually Blog! You have such cute cute ideas. If I won I would use the the giftcard for the the I love you to the Moon and Back because that's how my hubby tells me he loves me and that's how we tell our daughter we love her! P.S. I'm a follower everyday!! I found your blog @ a week ago and love it! I am a follower and would love to participate in the giveaway! Yeah!! Im a follower on your blog! I love the dainty drops! I voted for you before. My favorite piece is the square names with the heart. So simple and beautiful. I love it. I adore the chunky daisy cuff... all the bracelets are so cute. I'm a follower and & I really like the Names around my Heart piece. i follow you on facebook and twitter! I have your button on all my blogs and the one i contribute too. 1. I follow your blog and love the "dainty drops"
I voted for you on Top Mommy Blogs!! I LOVE love actually! I recommend it to all of my friends, sisters, complete strangers, etc.... ;) My favorite Vinage Pearl is the circle of love charm bracelet. So Cute! I voted for you on Mommy Blogs... good luck! Hi! I did it all except vote for you on TopMommyBlogs. I couldn't figure out how...so if you want to tell me how I'll do it. I love your blog! It's too cute. I would like the "come fly with me" if I'm the lucky winner. I also follow you on Twitter and FB! I'm a follower and my favorite piece is the flower and a circle piece! I'm a follower on facebook now as well! I am a follower of your lovely site! And I have your button on my blog. and I LOVE Love Actually! i absolutely love the hammered star necklace! I love the "a flower and a circle" necklace. It would be perfect to put my little girl and boy's names. There's so much stuff I love . . . picking is hard! I really like the family tree. I LOVE LOVE LOVE the crcle of love bracelet!!!!!!! I'm a follower! LOVE this blog!! I love their stuff. Love so much of it. Maybe get one of those necklaces. Your buttons on my blog!! I love the layered mother of pearl necklace. This would be great to give to a grandmother...with bunches of grandkids. Can I just say how much I LOVE your blog!!! You have such great ideas! I just became a proud follower and I would love to win this gift certificate! I love all of their designs but I think that my favorite one would be the layered circle of love. I'm a follower and I think my favorite piece is the Dainty Drops. I also voted for you and became a Facebook fan. I love this blog! You have so many wonderful ideas for romantically challenged people like me. MmmmMmm names on my heart is for sure my favorite! I love this jewlery it is so darn cute! I would get the eletric necklace! Thanks for posting about this site, they have so many beautiful things! But I think my favorite is the bitty blossoms necklace. I love Vintage Pearl, I don't have anything from them, but I still love to look at it! My favorite right now is bitty blossoms necklace. Thanks for doing a great giveaway! So hard to choose just one! I love the circle and the flower necklace one for my boy and one for my girl! I am a follower and my favorite would have to be the "come fly with me" necklace. The cup of love is one of ny many favs. I love the hammered star necklace! I would be more then delighted to have one of these lovely pieces of jewelry....I like them all so I wouldn't be picky! I love all their pieces, simple and neat! I LOVE the Circle of Love necklace! I follow you on twitter (@dezroute) and Facebook. I am a follower! I would love to win a necklace. I think my favorite is eclectic necklace! There are so many cute ones it is so hard to choose!! I follow you on facebook too!! My favorite piece is the Circle of Love because it reminds me of my wedding ring...no beginning and no end. Thank you for the chance to win! I LOVE the eclectic necklace...and the layered circle of love necklace...and...ALL OF THEM! Follower :) I've had my eye on the bitty blossoms for awhile... My fiance wanted me to wear a locket he got me when we were teenagers at our wedding in a few months - and that would be PERFECT to attach it to! I love the dainty initial hearts necklace! So cute! I'm a follower! I would get the Mother Bird necklace. But everything is so beautiful! Wow, I love them all. I think I like the electric necklace the best. I am a follower and I have your button. Thanks! I love the layered mother of pearl necklace! I like the handstamped keychain. I also voted for you. I'm in. The circle of love is my choice. I love the mother of pearl necklace! I love the names on my heart piece. So beautiful!